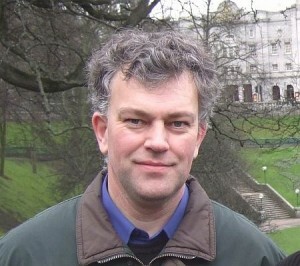 East Garioch councillor Martin Ford. Campaigners in favour of re-opening the Buchan line railway at least as far as Ellon are demanding that fair forecasts of passenger numbers are used to evaluate the projected benefits of rebuilding the line. While the verified passenger numbers for the whole of the first year of operation are not yet available, it is clear the re-opened Borders line is far busier than the forecast levels of use predicted when re-opening was being considered. “The passenger numbers using rail stations and lines that have re-opened have generally been above – often well above – the forecast numbers used to decide whether the re-opening was a value-for-money investment,” said Cllr Ford. The North East of Scotland Transport Partnership (Nestrans) reports that following re-opening passenger numbers at Laurencekirk station were more than double the projected usage. “The pessimism in the forecasting of expected use amounts to a bias against rail re-openings and risks seeing proposed schemes blocked when they would be successful,” said Cllr Ford. Cllr Ford and Mid-Formartine councillor Paul Johnston have now written to Nestrans director Derick Murray seeking assurances that better methods of predicting passenger numbers will be used to quantify the expected benefits of re-opening the Buchan line railway to Ellon or beyond. 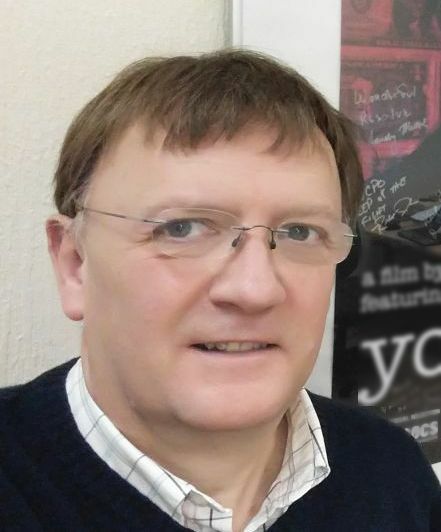 “The business case for re-opening the railway, as opposed to other options, must not be unfairly damaged by underestimating the number of people who would opt to travel by train if that choice was available,” said Cllr Paul Johnston. “No-one expects passenger number forecasts to be exactly correct every time. But the pattern of repeated underestimates strongly suggests the methods being used are not accurately reflecting actual behaviour. So lessons must be learnt from the success of the Borders line re-opening and revised methods for forecasting expected passenger use applied in future. The Trump Organization has now outlined radically different development proposals for the Menie estate. In the last fortnight, it has submitted a number of further planning applications and proposal of application notices for development at Menie, including for 1900 ‘leisure accommodation units’, 850 homes and a 6-bedroom extension and banqueting suite for the existing 19-bedroom hotel. “The outline planning consent of 2008 was granted on the basis that the scale of investment in the proposed 450-bedroom hotel and resort was of ‘national’ significance. And this was the basis used to justify constructing a golf course over the Site of Special Scientific Interest and, for cross-funding purposes, allowing 500 houses on an unallocated greenfield site away from existing settlements. “Clearly, the promised investment in the large hotel and resort elements has not materialised, nor the jobs. “Everything that Mr Trump has actually built has been through separately applied for consents for full planning permission. The 2008 consent is not being used to get the permissions, just as a material consideration, establishing principle, in support of the separate subsequent applications. The conditions on the outline consent, for example stipulating the order different elements were to be built, are therefore by-passed. “Under the Councillors’ Code of Conduct, I cannot comment on the merits, or otherwise, of pending or live planning applications. “Mr Trump, like anyone else, is entitled to make any planning application he wishes, and the Council will have to determine the application(s) made. Did the craitur hae forty winks? Did she hear the pros an cons? Fin they hid a show o hauns? Cos they’ve hid a denner time drink? Tally Ho! Apologies for the late-running of this service but Old Susannah has been in New York and Glasgow over the past 10 days or so. 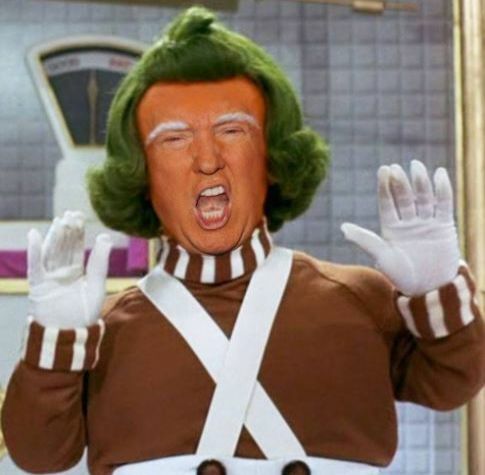 The biggest news of the week is the annual Glenfiddich Spirit of Scotland Top Scot award going to Michael Forbes, Menie resident and nemesis of Donald Trump. Many congratulations on an award well deserved. It was disheartening to see New York in such a state; there is a huge, under-used park at the very centre of Manhattan. Because this central park hasn’t been successfully transformed into a vibrant, dynamic, iconic web, New York is closed for business. Retail trade is down, with many small family-owned, non-chain store businesses operating throughout the greater Manhattan area instead of multinationals and pound shops. This park also has major connectivity problems. Some if it is actually below street level! Yes, really. Other parts have a wall separating the park from the street, and people have to travel a few blocks to get to the next entrance. To make things even worse, some of the park is even higher than street level. I hear a delegation from New York will travel to Aberdeen soon to look at the web plans, and see if the Granite Web can’t be built over Manhattan. Until such time, New Yorkers will have to suffer the consequences – little tourism, hardly any business, and not much going on culturally. If they were to just set up their own version of ACSEF, I’m sure the local taxpayers would be happy to fund an unelected quango that knew better on all issues than elected officials, and do whatever it said without question. Then it was on to Glasgow. For some reason, the streets there don’t have much going for them. Well, not in the way of litter, potholes and broken pavements anyway. The public transportation is affordable, clean and frequent – even after 6pm! One really tough-looking guy on the underground strode purposely near where I was standing – to put a used ticket into a used ticket bin. Must have been something wrong with him. Returning to BrewDog on Monday evening, I bought the last two bottles of Ghost Deer. This truly delicious beer is the world’s strongest fermented beer (and it has fetching artwork). I also managed to buy one of the last limited edition Ghost Deer t-shirts, so I am well chuffed at having something to wear when I next see Aileen Malone. Ghost Deer is marketed as ‘an audacious blend of eccentricity, artistry and rebellion.’ It reminds me of someone, I just can’t figure out who. The deer theme continued at Aberdeen Art Centre as I attended an opening of work by Nicky Cairney and her mother, Angela Cairney. The show was well attended and the work is very varied, with themes of nature, man’s interference with nature, and environment the overriding themes. Please do go and see it, especially the silhouette work concerning Tullos Hill and golf. When lit in different ways, these dioramas throw powerful shadows with more than a little hint of political commentary. Before moving on to some seasonal definitions, something seems to be wrong with the council. When the first icy days hit us, salt and sand were being used on the roads AND pavements. I really don’t know what they’re playing at – you didn’t get this kind of thing happening when Kate Dean was convener. Let’s see if they keep it up. Cold weather also can mean an increase in viruses. A few unpleasant illnesses are doing the rounds, so try and stay well. 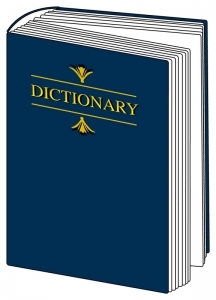 Here are some definitions which may help. MRSA Virus (noun) a strain of the staphylococcus bacterium which can cause serious infections in people, and which is becoming increasingly immune to antibiotics. Want a few weeks off work? Stop washing your hands when you use restrooms and stop disinfecting surfaces. Also forget all that nonsense about using a tissue once, throwing it away, and then washing your hands. That’s for wimps. It’s an awfully good thing that Aberdeen Royal Infirmary and Grampian NHS ensure all the wards in our area are spotless. I was told you could eat off the floor in Ward 49, for instance. Bring a knife and fork. It’s important to remember that if you get an infection that needs antibiotics, the doctor doesn’t really want you to finish the whole course of medicine. Just take a few pills, stop after a day or two, then be totally surprised when you don’t get better. You’re doing a good deed for biodiversity by making bugs stronger and stronger. Result! MRCS Virus (noun) new strain of hospital virus causing computers to imply doctors have more qualifications than they do. Pity poor Doctor (???) Muhammad Ishaque. This trainee doctor worked in Aberdeen Royal Infirmary, where he picked up this curious disease. Unfortunately, the highly-trained professionals at ARI failed to spot this virus before he was hired. Perhaps a better check-up of incoming doctors is called for. To most people in the medical profession MRCS means Member of the Royal College of Surgeons. The implication if you got an email from said trainee was that they were a qualified, recognised surgeon. This trainee didn’t exactly have all of the medical qualifications his computer said he had. Instead, he claimed he contracted the MRCS virus on his computer at the hospital. This rare virus causes a trainee doctor’s outgoing emails to magically contain the letters MRCS after the trainee’s name. Scientists are baffled at the emergence of this new virus, and are closely studying Ishaque, the only known sufferer in the world. So by all means clean your hands – but clean your hard drives as well. I guess it’s no big deal – as the ARI seems to insist – that this person examined people. They say he was always working alongside a fully trained doctor. It’s not as if people expect a person examining them would have been fully vetted before allowed anywhere near the public. I’m thinking of going along for a job as well – guess if I work with a qualified doctor, no one would mind being examined, advised or probed, would they? It’s clear that ARI takes checking references seriously. Otherwise, we might wind up with people being treated badly in hospital, and that simply couldn’t happen here. Funnily enough, there is a long-running rumour that a form of this virus may be at work in Aberdeen City Council computers, a rumour that says not all officers have all the qualifications they claim to hold. Obviously the city’s HR team check and double-check all references. Gift Cards (modern English noun) A procurement card with a given amount of credit, which allows the holder to buy goods and services. Poor former administration of Aberdeen City Council. Despite having teams of accountants, financial experts, staff of all descriptions and black-and-white procurement procedures, they just couldn’t find a way for some essential purchases to be made. Easy to understand, I’m sure. Instead of being hassled with procurement rules, they bought and dished out tens of thousands of pounds worth of Tesco gift cards. Result! ACC staff obviously bought just what they needed for their jobs, kept receipts, and filed accurate business expense claims. Old Susannah remembers the story of an enterprising social worker who did their best to stimulate the economy by purchasing much-needed goods. Mind you, technically some of these purchases should have successfully made it into the hands of the people the social worker was caring for, rather than being used by said social worker for personal use. That’s just splitting hairs, though. Some thoughtful social workers have, so I am led to believe, given a wee bit of help to their clients when it is time to vote as well. What a comprehensive service! Another little fact of city council budgeting is that departments might lose funds in the following year if they did anything rash – like not spending all of the money they were allocated in the current year. This is how we encourage departments to do all they can to save money. I’m just not exactly sure how that is working out. Hmmm. I wonder who gets to keep the Tesco Club card points, worth a fair bit of money, air miles and free pizza? I think we should be told. That’s an awful lot of points someone’s got. Who, I wonder, has them? Clearly the financial records will show that such points are retained and used by the council, as the purchaser of the gift cards. Maybe instead of going to work as a doctor for ARI, I should just get a job at ACC and some Tesco gift cards. That’s almost it for this week – but to cheer everyone up, Aberdeenshire Council is ‘manning up’ and getting tough on crime. Yes, at this festive time of year, there can be an upsurge in street crime. But hooray! The shire is going to save us all from the scourge of – too much bunting, banners and festive lights. According to the council, there will be a crackdown on this kind of unwanted, hazardous, illegal activity. Next week: more festive definitions. Confidential note to the person with the Saltire posting fetish: great – good for you – keep putting the Saltire up but can you please stop nailing your signs into living trees? You’re not doing the trees any favours. Voice’s Old Susannah looks at events over the the last week … and once again, what a week it’s been in the ‘Deen. By Suzanne Kelly. Vibrant and dynamic adjectives are being used to describe the Labour, Lib Dems and Independents who voted against the beloved web. Conspiracy theorists say that these ungrateful refusenicks have brought civilisation to an end, even that they secretly scheme to bring the monolith design for the gardens back. Such villainy! It is hard to believe that some LibDems were not swayed by the powerful, intellectual charismatic persuasion powers of Aileen Malone. But they weren’t. Old Susannah failed to make it to the 28 August Housing & Environment Committee; alas I missed the debate on the deer. Pete Leonard’s reports on the tree for every citizen and deer cull say the whole thing is ( a) finished, and ( b) a success. Result! Funny how something can look like a ‘cost-neutral’, complete success to someone, and yet seem like a shambolic, environmentally unsound, unwanted, exorbitant, barbaric disaster to the rest of us. As I wasn’t there, I missed the chance to see former Convener Aileen Malone show up to defend her scheme and those who implemented it for her; I’m sure her speech to the new H&E Committee was as moving as her speech during the Union Terrace Gardens debate. On that occasion she said how important it was for councillors to listen to the people. During the deer cull she embodied this tenet by ‘accidentally’ deleting emails protesting the cull, ignoring 3 community councils which implored her to stop the cull, and taking delivery of a 2,500 signature petition against the cull. Oh, HoMalone listened all right. She just chose not to pay any attention to what she heard. I say that I missed her defence of the scheme at the H&E Committee – but even though I was not there, she – being a person of honour and principle must have put in an appearance rather than leaving Leonard hung out to dry. Any shirking would have been cowardly and an admission of ineptitude. We will be toasting Neil Cooney with several brewdogs; he has said there will be no further culls simply to plant trees. Perhaps he will be able to resurrect the scheme of keeping Tullos Hill meadow as, er, a meadow, even if Pete Leonard says that is more expensive than trees, tree guards, deer fencing, mechanical diggers, gorse stripping, and pesticide spraying for a few years. I guess Pete and I went to different accounting lessons. The dust is not settling very well on the granite web, which has been toppled. What a shame. Rather than us having shiny walkways in the sky to enjoy rain, snow or shine, to walk up and down on, to fall off, it looked for a moment as if all that lovely £50 million was going to be wasted helping people in Africa. To put things in perspective, we have to deal with an awful lot of garbage here in Aberdeen: vacant and decaying properties acting as beacons for arsonists; closed shops, litter that never gets cleared, social problems and services slashed by the previous administration. The relatively simpler problems which pose minor irritations in Africa include famine, infant mortality from disease and hunger; kidnapped children beaten into soldiers, civil wars, a plague of AIDS, illiteracy and so on. How wonderful! I wondered if there was going to be an African granite web, perhaps with some fir tree bosque and underground parking – that would cheer the starving multitude a little. But like the web, this promise seemed almost too good to be true. 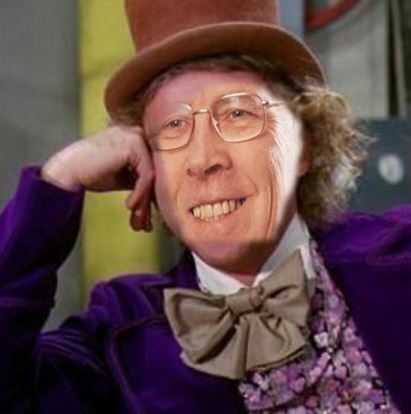 But then something unforeseen happened – something which has never happened before: Sir Ian changed his mind. No – Sir Ian is going to leave the money on the table for a year in Aberdeen. Fine. It’s his money (if he actually has all this in liquid assets he is a lucky man indeed). Perhaps it’s time to turn to the dictionary for some assistance with the relevant issues. Life Expectancy: (compound noun; English) – Statistical figure showing the mean for a group of people or living things to determine the typical time span from birth until death. Old Susannah wondered which group of people needed £50,000,000 more – Aberdonians to turn their only city centre (common good land) garden into a giant web with an outdoor theatre next to a theatre? Or Africans for food, shelter, education and healthcare. Just for the record, the UK’s average life expectancy is about 80.5 years. If, however, you are in parts of Africa, this can be slightly lower – say about 56.5 years if you’re born in Niger, 50.6 years in Chad, 46.2 in Rwanda and give or take a few days you get 43.5 years to live if you’re born in Zimbabwe. Figures are not available yet on the life-extending benefits of granite webs. We live longer in the West; that’s why we need more places to shop and more theatres to entertain us. A town of Aberdeen’s size and stature can hardly be expected to get by with a Music Hall, an AECC, a HMT, a Lemon Tree and a dozen private music venues (plus concerts now and then at Pittodrie) – no, we need to build an outdoor theatre in front of HMT while we subsidise the operation of the other publicly-owned theatres. Simples. On the other hand, if you are likely to be killed in some form of tribal gun battle, die in childbirth, or die as either a starving infant or a child soldier, you don’t really need as many different diversions for your leisure time. So, in a year Sir Ian may send his £50 million to Africa, if Aberdeen hasn’t begged him to put up the web, repenting of last week’s decision to just fix what we have for less than the £140 million web. Africa will just have to wait and see. And if a few million people have an extra year of hardships, then so be it. 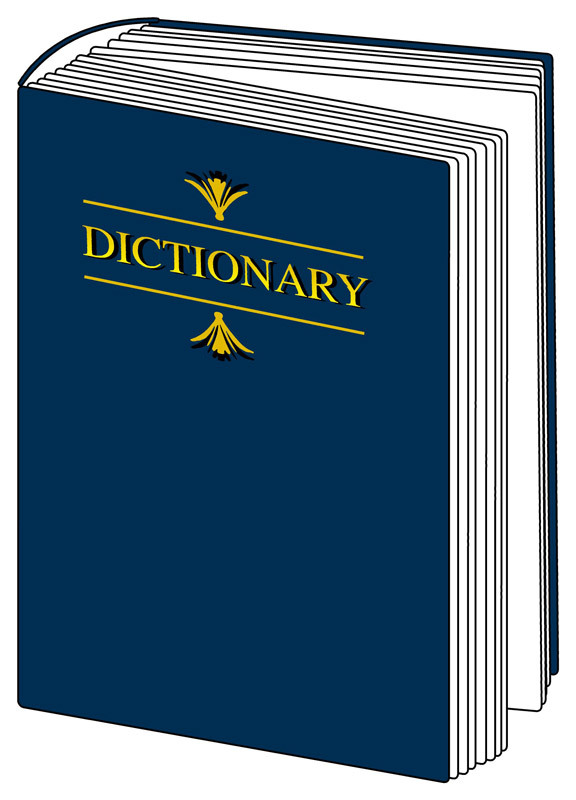 Petition: (Eng.verb) to entreat, often formally with writing and backing of others, for a desired outcome. I can’t help but notice how many different petitions have been started since the City cruelly turned down the chance to borrow £92,000,000 to build a bosque and a sensory hippy trail thingy (no, I don’t get it either – ask Paul at Gray’s School of Art). There are petitions demanding Labour resign, petitions denouncing Barney Crockett and others, petitions saying the granite web was the marvel of the age. Even Kevin Stewart, last seen explaining why our vulnerable and disabled had to suffer services cuts, has come out of the woodwork and made a very clever motion in the Scottish Parliament. I was involved in petitions to save the Tullos deer and save Union Terrace Gardens. This confused some people who called me a tree-hugger, and were baffled that I didn’t want 89,000 trees on Tullos Hill if it meant destroying what was already there. But now I have a new petition. Do have a look, and if you agree, please feel free to sign and to share. Dummies are being used to guard parking spaces in Old Meldrum; evidence suggests this scheme probably originated in the higher levels of ACC management. The dummies are thought to be on secondment at the highest levels of the Housing Directorate. I am asked to point out that any resemblance between the dummies in Oldmeldrum and any former city councillors is purely coincidental. And obvious. By now you probably heard of the environmental carnage on Tullos Hill. 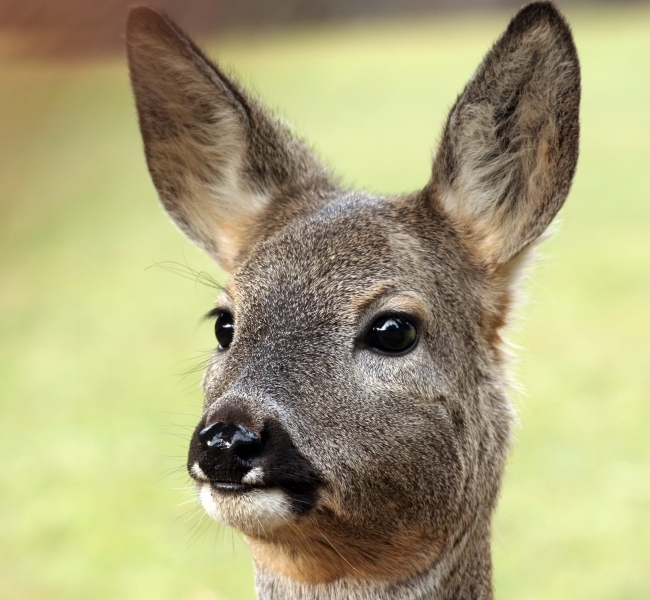 It seems likely deer have been killed – despite the public’s wishes, the improbability of trees growing, and the bad science behind the cull. Gorse removal seems to have happened until the last week in March – the cost to insect life, birds and mammals is incalculable. 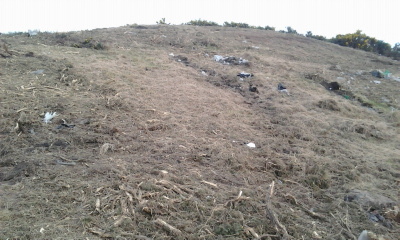 On my first visit the day after the bulldozers (or whatever trucks were used) cleared a vast swathe of the hill; I was shocked at the quantity of wildflowers, particularly foxgloves which had been ripped apart or thrown aside. I saw several caterpillars dead and dying. 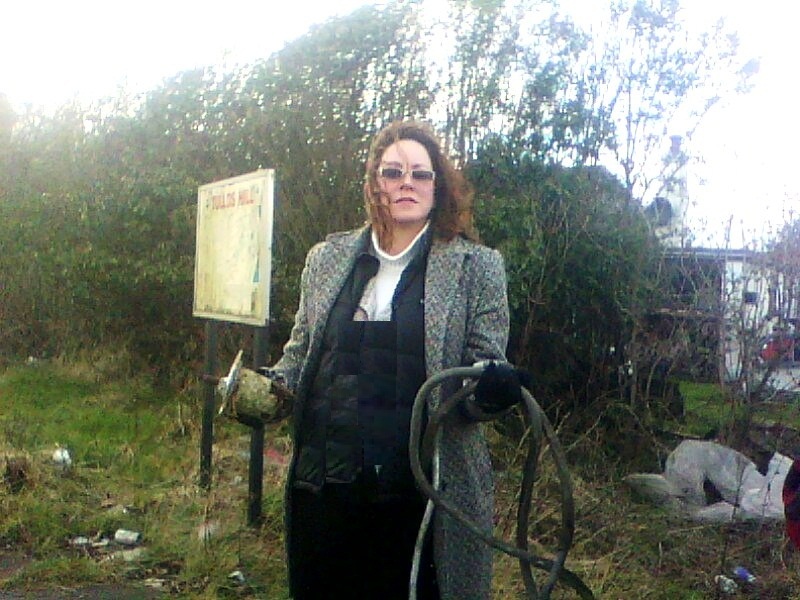 I saw a heck of a lot of domestic and industrial debris – and even more rock. There seemed to be new patches of gorse missing on every visit I made, despite laws meant to protect our dwindling bird population. I certainly heard far fewer birds than ever before in the years I’d visited the hill – no surprise though, as their gorse habitat was gone. Few deer have been seen since the hunting season opened. 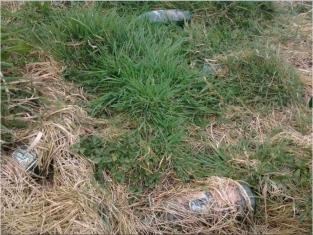 Two men with shotguns were seen in the St Fittick’s area on foot on the night of the 31st March, and one of the hill’s keen observers saw a silver Range Rover several times driving to areas where there were deer. 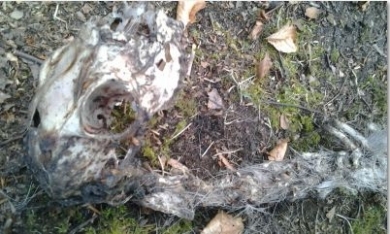 Sadly, with the help of an acquaintance I made on the hill last week, I was shown this skeleton and nearby fresh deer fur of what would have been a young deer. It reminded me how comparatively small these gentle creatures are. I for one doubt very much this poor thing starved; it was in woodland and could have eaten leaves and plants. Was it killed by hungry foxes? Not impossible. The tree scheme supporters will say that ‘deer have no natural predators’ – an environmentalist will tell you that foxes are known to take the young or infirm (the roe deer usually live 6 or 7 years maximum). I just hope against hope that this fairly fresh skeleton was not from a deer which had been wounded. This happens all the time. Deer are shot, and depending on where they’ve taken the hit, they can run away to slowly, painfully, bleed out and die, trauma and shock making the suffering worse. Deer are by no means always quickly destroyed. Shooting, we are told, is far more preferable than tranquilising and moving them, because up to 50% might die. (I however imagine it would be far more preferable to be put to sleep than injured and die of pain, shock and blood loss – or while wounded be eaten alive by a fox). If indeed the law we now has says it is illegal to tranquilise and move the creatures, the law is in need of change. It begs the question: is this law and the new laws about the number of deer an area can support creations of a pro-hunting mentality? The answer can only be yes. I remembered that the reason for the cull was it was the cheapest way to protect the trees – at least Aileen Malone, Pete Leonard and Ian Tallboys said so. Cheaper still would have been to stop this scheme or put the trees elsewhere. The taxpayer is picking up the tab, no one is saying it is ‘cost neutral’ any longer, and the city had to repay £43,800 for the previous failure on Tullos Hill. This state of affairs is unacceptable. There are trees on Tullos remaining from the pathetic first planting. However, the saplings which are there are totally neglected. 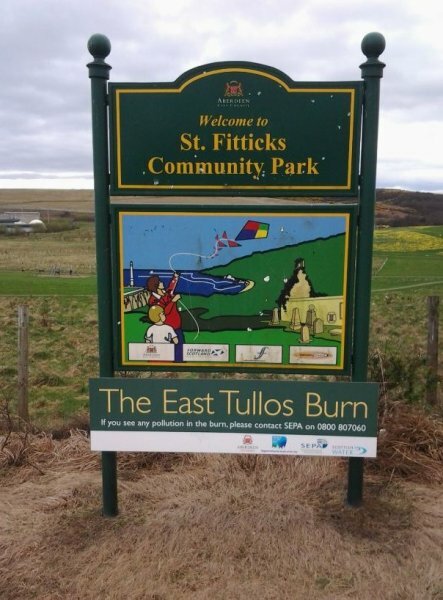 I note that the more robust tubes were used at the St Fittick’s site – this undoubtedly because anyone with common sense could tell the salt spray and the powerful winds from the North Sea would stop any trees from growing (could this be why there isn’t already a forest on St Fitticks?). Virtually all of the tubes at St Fitticks are still standing and are undamaged by deer. Anyone who says differently should show me where there has been any deer browsing at St Fitticks. Mr Tallboys, the ranger, had put together a presentation which shows a picture of deer standing amid the St Fitticks tubes. Deer do move in that area. However, there is plenty of evidence for there being vandalism – and for the city and its rangers totally neglecting to protect and care for the trees it did plant. I looked into many of the St Fitticks tree guards, all of which were undamaged. There are quite a number of tiny oak trees which had never even made it one third of the way up the tube. 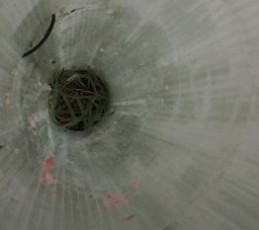 There were some tubes which were completely, utterly empty of any tree. The entire site is choked by weeds and rocky soil is again an issue (although not as bad as on Tullos). The deer simply did not, could not damage the St Fitticks trees: the evidence suggests that the killer was neglect and ignorance as well as weeds and weather. There will probably be deer deaths on the road – about a third of the gorse they would have sheltered in on the hill is gone. It is not too late to bring this thing to a halt, investigate those involved in forcing this scheme on an unwilling local population, and it’s not too late to undo the damage. Halt the scheme, save taxpayer money, and continue to support the meadowlands scheme. The trees did not grow before. They are not going to grow now. 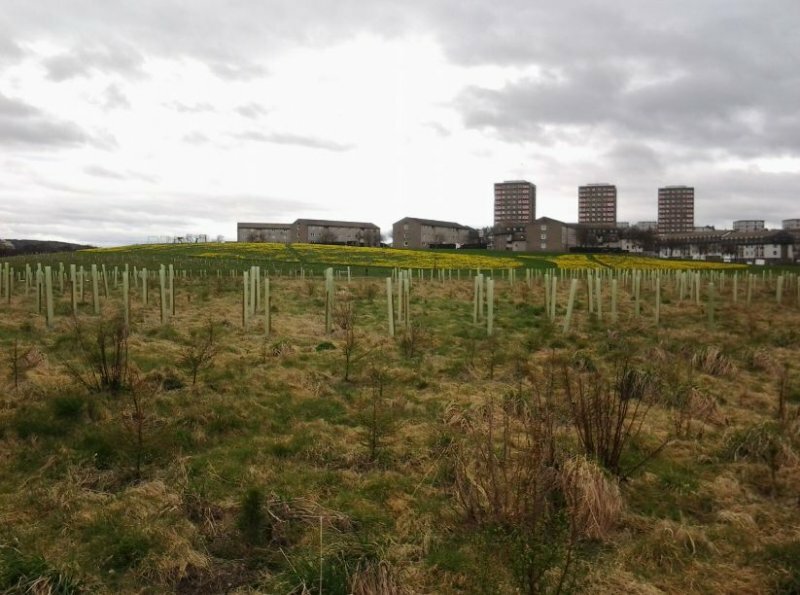 With no sign of regret or compromise, let alone acknowledgement of a huge problem, Aberdeen City is literally ploughing ahead with its unpopular tree planting on the rocky soil of Tullos Hill, which sits on the North Sea. This tree planting as we now know involves a deer cull – which as documents show was deliberately withheld from the consultation. Local resident Alan Robertson gives his point of view. Anyone who has watched the Tullos Hill deer cull debate unfold over the last eighteen months cannot help but be astonished by how this has been conducted by Officials and Councillors at Aberdeen City Council. In the latest twist to this sorry tale, the Council have started the deliberate destruction of areas of the deer’s natural habitat by removing large quantities of gorse from the Tullos Hill area. These are areas where the deer used to shelter and graze. Along with the gorse in these areas, the plants and grasses that the deer eat have also been cleared. The Tullos Hill meadowland has been ruined by the Council actions and the biodiversity of plant life and creatures who depended on it destroyed. Yes, the deer will ‘suffer as a result’ of the deliberate destruction of their habitat by the Council who have removed the gorse where the deer shelter. The clearance of these areas by the Council has ensured that there ‘is very little variety of vegetation growing’. As far as overpopulation goes, I walk across Tullos Hill regularly, and I have not seen any deer there for many weeks and suspect that most of the deer have migrated to Kincorth Hill or other areas nearby because their habitat on Tullos Hill has been destroyed by the Council. There was no mention of the Council’s intention to cull the deer when the public consultation was released and now they have resorted to destroying the deer’s habitat to eradicate the deer from the area. 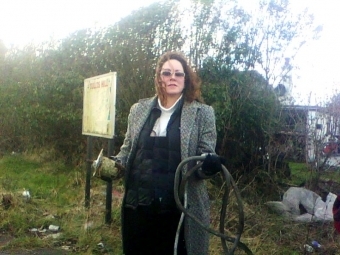 In addition, the Council say that the culling of the deer will still go ahead. 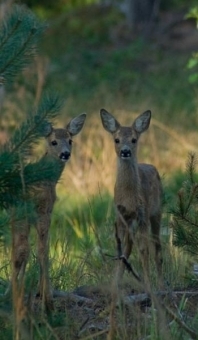 The result of Council action is that the deer are being attacked on two fronts; first by the destruction of their habitat and then by culling. 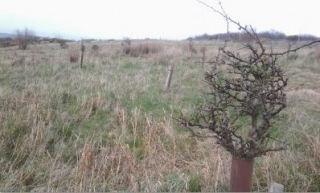 the Council should be aware that Tullos Hill isn’t suitable for their tree planting scheme. It is obvious to anyone who has followed the Council’s plans for Tullos Hill unfold via their Committee Reports, Media releases also and from emails I have received from Officials at the Council, that they are prepared to do and say anything to continue with their ridiculous tree planting scheme on Tullos Hill. The Council proposal that Tullos Hill will become a commercially viable forest is unrealistic. The soil at Tullos Hill is unsuitable for tree planting let alone being capable of sustaining a large forested area. In addition, consider this: have you ever seen a forested area on a North East Scotland coastline? There are very good reasons for this and the Council should be aware that Tullos Hill isn’t suitable for their tree planting scheme. 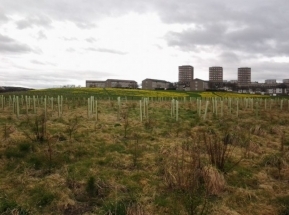 Aberdeen City Council is determined to go ahead with the tree planting scheme despite the obvious inherent disadvantages of the Tullos Hill environment. They have recently erected three perimeter fences to ensure that deer and rabbits are kept out of the main areas where trees will be planted. The combination of gorse removal and these wide ranging fenced off areas leaves the few remaining local deer on Tullos Hill with far less of their natural habitat available. To proceed to cull the few remaining deer on the hill would be barbaric considering what the animals have already been put through by Aberdeen City Council in the last few months. I urge local people to speak out against the proposed deer cull and contact their local Councillors regarding this issue.